Mel Gibson's star may have faded in recent years but there's no denying that as a director, he's established a signature, visceral style with just four movies. Following his 1993 drama The Man Without a Face, he went on to deliver his most famous works, 1995's Braveheart and 2004 religious blockbuster The Passion of the Christ, before 2006's Apocalypto took his love for violent, relentless material to new heights. A fast-paced story of the twilight years of the Mayan Empire, it focuses on young warrior Jaguar Paw's capture and enslavement by the terrifingly brutal Holcane tribe; eluding ritual sacrifice in the movie's most notoriously gruesome sequence, he escapes to try and be reunited with his pregnant wife and child. Handsomely shot by Dances With Wolves cinematographer Dean Semler and unapologetically gory with its rampant scenes of bloodshed and dismemberment, Apocalypto demonstrates Gibson's penchant for venturing outside of his comfort zone as a filmmaker. Shot in Yucatec Maya language and featuring non-professional actors in the main roles (lead Rudy Youngblood is especially striking), it's an exciting plunge into an exotic, long-distant period of human history (although those well-versed in the period have inevitably questioned Gibson's sense of historical accuracy). Adding further texture is the late James Horner's atmospheric and challenging score, one that clearly feeds off the movie's uncompromisingly violent nature. When Horner tragically died in a plane crash in 2015, the world of film music not only lost one of its great melodists but also one of its great innovators. 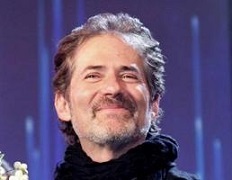 Horner's penchant for inventive, creative music was often overlooked in favour of his more lyrically accessible works like Glory, Legends of the Fall and Apollo 13, but he often strove to push the boundaries whether it was the harshly militaristic rhythms in Aliens, the haunting mixture of electronics and orchestra in Field of Dreams or the new age synth choir to represent an early 20th century context in the Oscar-winning Titanic. 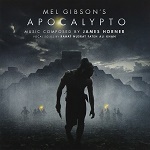 Apocalypto falls very much into this bracket, confirming Gibson as one of Horner's greatest collaborators and a director who encouraged Horner to reinvent himself with every new score. The Man Without a Face is almost certainly the most intimate of the bunch whereas the sweeping Celtic instrumentation of Braveheart has subsequently become an iconic film music staple. (The Passion of the Christ was scored, to excellent, Oscar-nominated effect, by John Debney). Apocalypto by contrast is a savage, violent musical blast and one of the most bracingly creative works from Horner's late period. The brooding tone is set right from the off with opening track "From the Forest...", Horner's highly unusual musical ensemble consisting of Slovakian fujara flutes, Armenian duduks, Swedish naverlur pipes, Turkish sipsi clarinets, Renaissance-era tromba marina lutes and Syrian zourna oboes, plus the eerie vocals of Pakistan's Rahat Nusrat Fateh Ali Khan and London Voices director Terry Edwards, all of which create a singularly claustrophobic mood. Sampled birdsong also helps pull the listener further into the landscapes seen in the movie. It's a testament to the strength of Horner's musical voice that the melancholy nature of the undulating string arrangements is immediately identifiable as his from the likes of Brainstorm and Legends of the Fall. Truth be told, this is not a score of theme but of mood (itself quite unusual for Horner), the multi-layered percussive effects and growling, breathy vocals of "Tapir Hunt" immediately taking us in a more visceral direction. The intimate, undulating woodwind arrangements of "The Storyteller's Dream" mark one of the score's few lyrical moments; it's understated yet attractive although needless to say, the mood doesn't last long. Steadily mounting strings and percussion lead into the lengthy, unyielding "Holcane Attack" in which Horner utilises stark percussive clusters, the ever-present Shakuhachi wood flute and vocals to put the listener on edge. Buried in there are fragments of more compassionate woodwind and string-led material that steadily get buried under the darkness; it calls to mind some of the composer's lesser-known, textural material on the likes of Where the River Runs Black and Thunderheart. "Captives" continues the sense of gloomy despair, the woodwind arrangements sounding a lament for Jaguar Paw and his captured tribesmen, before Horner unleashes one of his characteristic, long-form pieces in "Entering the City With a Future Foretold". Ali Khan's undulating vocals and piping, stark woodwind bursts build a sense of tension as the score begins to encroach on more overtly horrific territory, the savage timpani outbursts 2 minutes in leading the music into much more uncomfortable tonalities. The lyrical, if brief, pan flute passage towards the end of the track is deceptive as it soon erupts into a cacophonous sound when Jaguar Paw and the captives arrive at the Holcane's sacrificial pyramid. "Sacrificial Procession" guides us back towards a sense of tragedy and innocence lost but the overwhelming buzzing textures, wailing choir and timpani soon return to lead us into "Words Through the Sky (Eclipse)", the film's centrepiece sequence and in many ways the score's, too. In his usual style Horner builds his music over several minutes, lilting flute and strings to begin with before the multi-faceted vocal effects (Edwards' menacing plosive sounds especially effective) and moody orchestral ambience adding a sense of mysticism. "No Longer the Hunted" is where Horner begins to bring together his various musical ideas, emotional strings in direct contention with the onslaught of tapping percussion and menacing vocal effects in order to portray Jaguar Paw's fight back against his captors. "Civilisations Brought By the Sea" introduces the score's only note of brass harmony as, during the movie's surprise ending, Jaguar Paw and his family are witness to the landing of the European settlers; one can palpably feel the music widening out as we ourselves are witness to two worlds colliding in front of us. As everything fades into the climactic statement of the pan flute theme, Horner wraps up everything in his lengthy end credits suite "To the Forest...", returning us to where we started with a reprisal of the bird sound effects and his various musical ideas, the choir attaining more of a fluid, elegaic nature that is somewhere between defiance and sadness, lamenting the loss of an ancient civilisation. It's prototypical Horner: the sense of a complete musical tapestry that has carried us through highs and lows before rounding off in the best possible fashion. After all, constructing a clearly defined narrative with his music was what Horner loved doing most of all and in his best work, he was better at it than most, if not all, of his contemporaries. 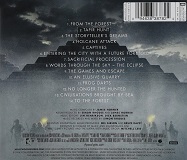 And although Apocalypto could hardly be described as the most accessible or entertaining of his scores - indeed, for the most part it's downright unsettling - it goes to reinforce how brilliantly Horner was able to get inside different cultures and environments, utilising all the resources at his disposal to give each story a unique voice. Although Apocalypto doesn't completely ditch the composer's signature lyricism, it allows him to go hell for leather with much more experimental and, dare one say it, interesting material, a striking score that makes us further lament the loss of both a superlative musician and an outstanding dramatist. The score is available as a CD release and MP3 download - at the following links on: Amazon.co.uk and Amazon.com.